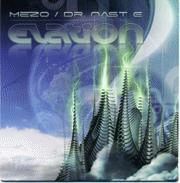 This collaboration between Mezo, Dr. Nast E and a drum and bass produser which remains nameless is a rocking track worth taking seriously. I can see it becoming a club hit sooner of later. Aug 31, 2005 Close your eyes, that is all I ask. If you do, you will be in for a spiritually uplifting and energetic experience when you listen to Andy Hunter’s new album entitled, “Life”. You can feel your feet start to dance as you catch the positive flow of energy coming from these solid dance tracks. They not only make you want to dance, they lift your spirits and somehow life’s little problems seem less significant. Aug 31, 2005 Dreaming Loud is an appropriate title for this album of original compositions by Ilya. This edgy mix of styles takes you on a journey from the roots of jazz into the world of hi-energy trance. Just like in a dream when you think you are going one way this album take you in the other direction.